The Lok Sabha on Wednesday passed an amendment bill that seeks to replace an ordinance in which tax rates on motor vehicles was hiked to a maximum of 25 per cent under the Goods and Services Tax (GST) regime. 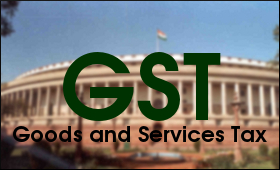 The House took up for discussion the GST (Compensation to States) Amendment Bill, 2017 amid din as the Congress and Trinamool Congress members raised slogans and banners protesting against union minister Anant Kumar Hegde's "amend the Constitution" remarks. Responding to the contention of opposition members who took part in the debate, Union Finance Minister Arun Jaitley said that change in the GST rates was a "natural" process and linked to the rise in tax collection. The government had issued an ordinance in September to increase cess on motor vehicles, including large cars and sports utility vehicles, from 15 per cent to 25 per cent. The Cabinet had earlier cleared the bill that seeks to replace the ordinance.